GIFTS - LIVING AND CO.
Beautiful HKliving bag! This HKliving bag is made of two natural materials: suede and linen. There is a zipper, with which you can easily close the bag. The inside of the bag contains an extra storage compartment. Beautiful House Doctor Rock vase. 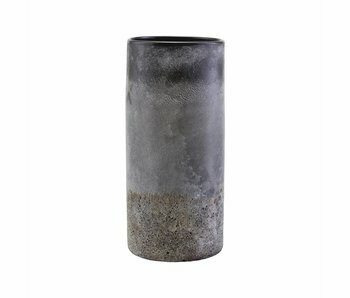 This Rock vase is made of glass and has a diameter of 14cm with a height of 30cm. Each vase has a unique finish in color and pattern. Beautiful House Doctor Artist flower pot. This Artist flowerpot has a diameter of 20cm with a height of 26cm. With black finish. Nice combined with the new House Doctor items! Beautiful House Doctor Lana vase. 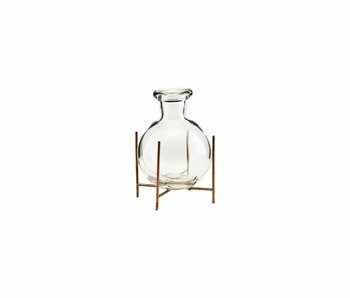 This Lana vase is made of glass and has a diameter of 10cm with a height of 12cm. With metal frame. Nice combined with the new House Doctor items! Beautiful House Doctor Rattan flower pot. 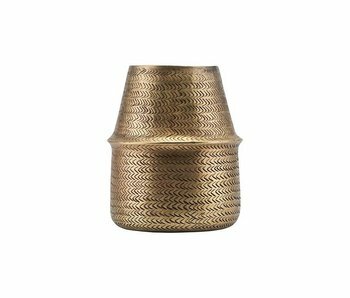 This Rattan flowerpot is made of aluminum with a brass finish. 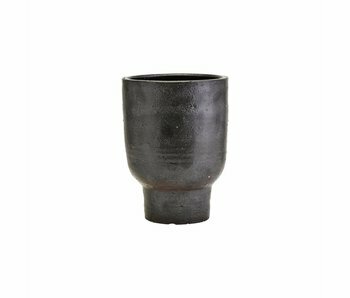 The flowerpot has a diameter of 19cm and a height of 23cm. Nice combined with the new House Doctor items! Beautiful HKliving leather handbag! 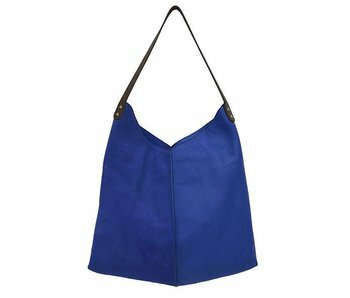 This blue HKliving handbag is made of two natural materials: suede and leather. There is a zipper, with which you can easily close the bag. The inside of the bag contains three compartments, all with a zipper. Beautiful HKliving leather handbag! This moss green HKliving handbag is made of two natural materials: suede and leather. There is a zipper, with which you can easily close the bag. The inside of the bag contains three compartments, all with a zipper. Beautiful HKliving leather handbag! 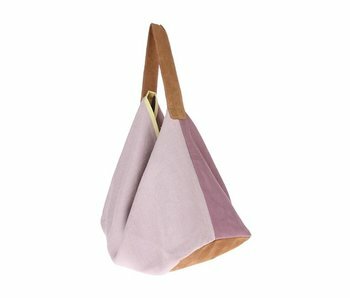 This old pink HKliving handbag is made of two natural materials: suede and leather. There is a zipper, with which you can easily close the bag. The inside of the bag contains three compartments, all with a zipper. Beautiful HKliving leather handbag! This gray HKliving handbag is made of two natural materials: suede and leather. There is a zipper, with which you can easily close the bag. The inside of the bag contains three compartments, all with a zipper. Beautiful HKliving funky handbag! This HKliving handbag is made of two natural materials, suede and leather. In addition, there is a zipper with which you can easily close the bag. The inside of the bag contains three compartments, all with a zipper. 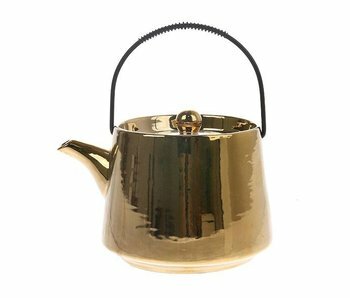 Beautiful HKliving teapot in 70's style. This HKliving Glacier teapot with 1200ml content is hand finished so unique in finish and design! Dishwasher and microwave safe. 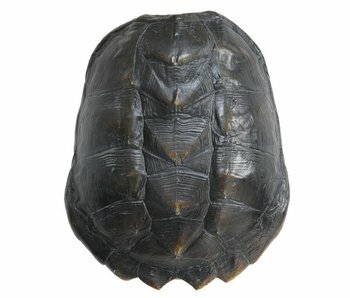 This black HK-Living art turtle shield is made of polyresin (plastic). Incredibly cool as decoration in your interior! With attachment on the back to hang the shield on the wall. Decorating your home? 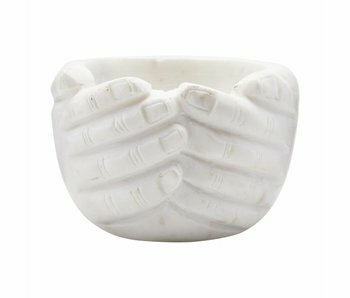 With this beautiful House Doctor Hands bowl you get an eye-catcher in your interior! The bowl is made of marble which gives a unique look. Note: marble is a natural product, each bowl is unique in finish. Decorating your kitchen? With this beautiful House Doctor Poli bowl you get an eye-catcher at home! The bowl is made of marble and has a diameter of 30cm. Note: marble is a natural product, each bowl is unique in finish. How cool is this House Doctor planter?! This beautiful House Doctor planter is made of woven rattan and has a jute hanging frame which creates a unique look. How nice is this coat rack with shelf? The House Doctor Pocket coat rack is great because of its simple design but beautiful looks! Keep it clean with a damp cloth, how easy is that? Made of steel. This wonderful House Doctor Ball wine glass is suitable for lunch as well as for festive days! The Ball Water Glass is made of mouth-blown glass in a beautiful dusty gray color and is dishwasher safe. HKliving Bedspread stonewashed ochre. Extremely warm for the cold winter days! This lined HKliving bedspread is made of stonewashed velvet cotton. The bedspread has a beautiful ocher color and is very soft and warm.